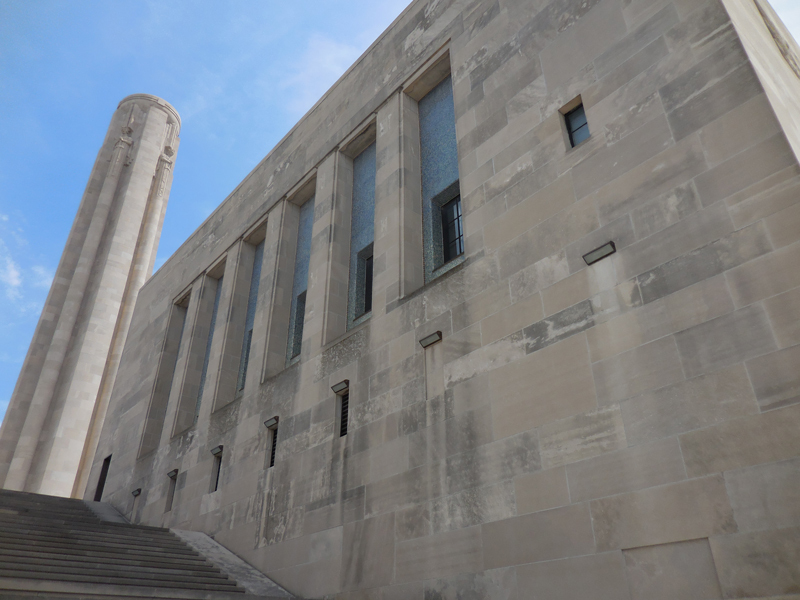 STRATA Architecture Inc. teamed with Structural Engineering Associates, Inc. and Gould Evans Architects to perform an overall review of the entire exterior of the Liberty Memorial monument and site. 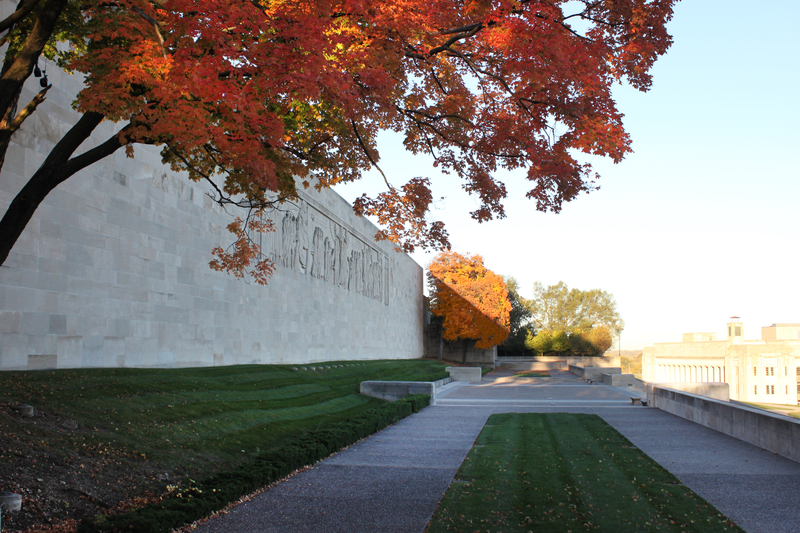 The work included the original and contemporary structures and masonry components incorporated in and around the Memorial complex. 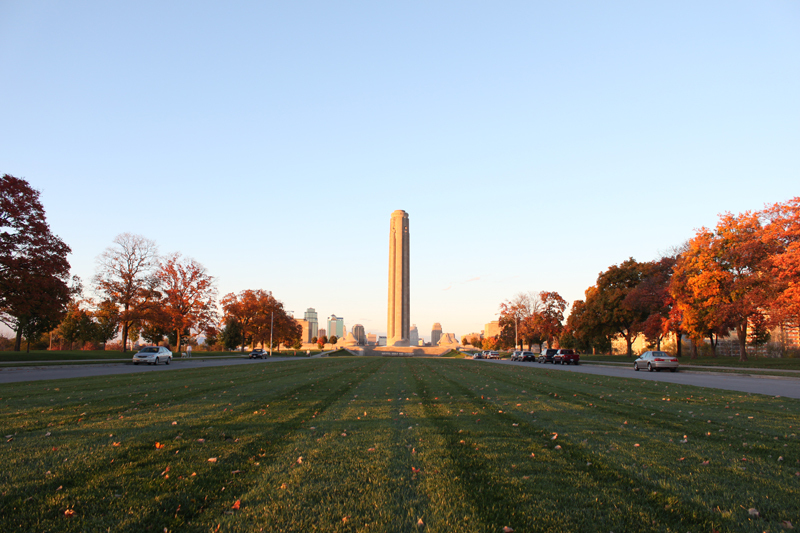 The Liberty Memorial was constructed over a three and one-half year span and dedicated November 11, 1926. 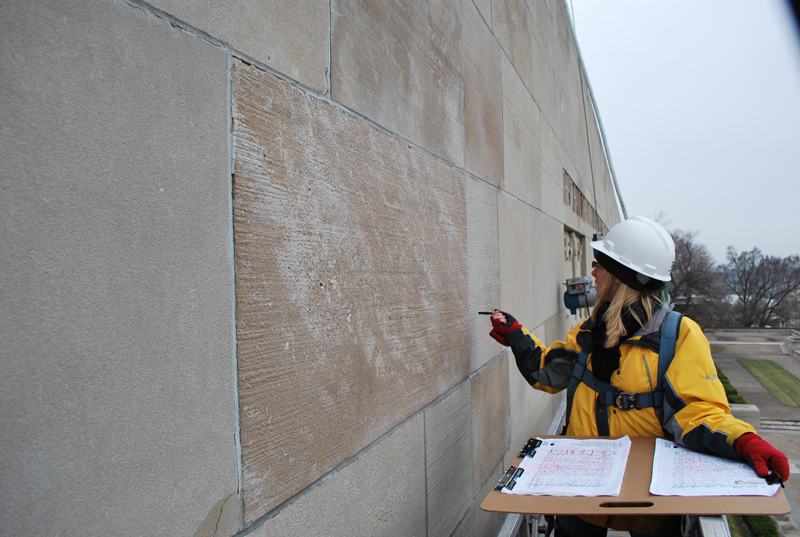 The Preservation Stone Assessment Design Team (STRATA and SEA) adopted a methodology that included the on-site review of the entire monument and stone site features. 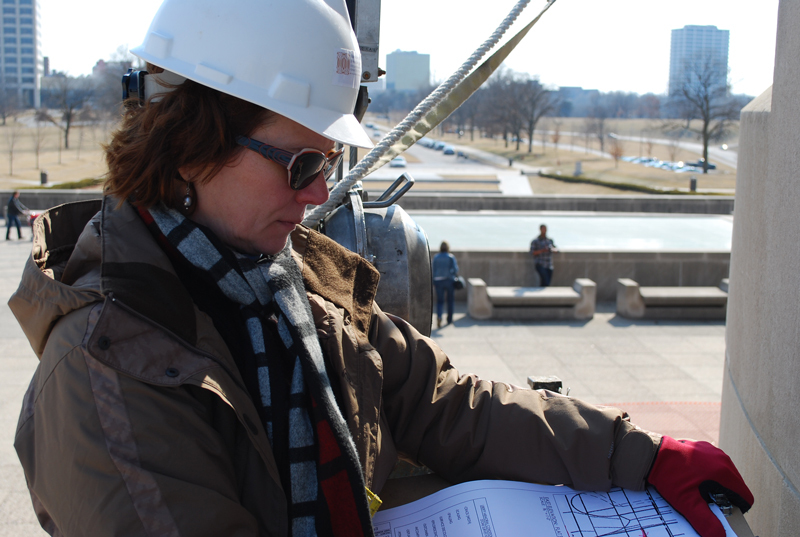 The team utilized several means of site survey apparatus in order to provide access to specific areas of The Liberty Memorial. 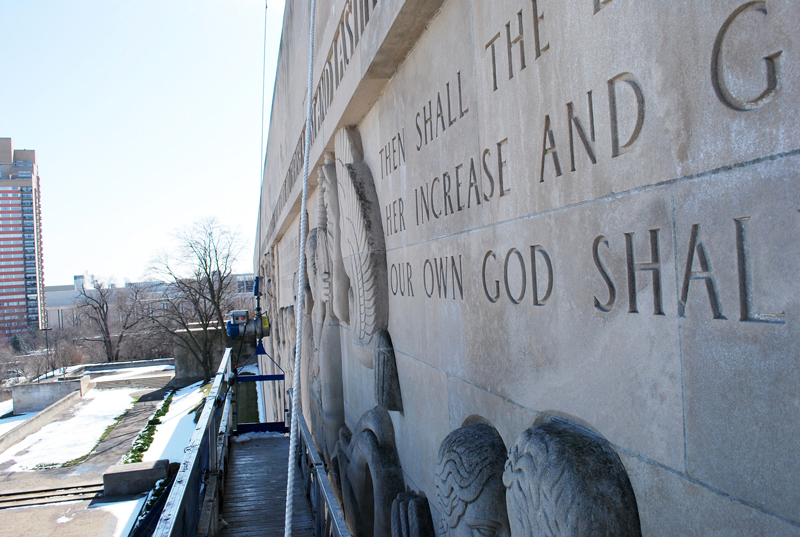 The Liberty Memorial Tower and North Great Frieze Wall were visually observed utilizing a swing stage and hanging stage. Physical condition information was recorded upon individual survey sheets and through the use of photographic documentation. 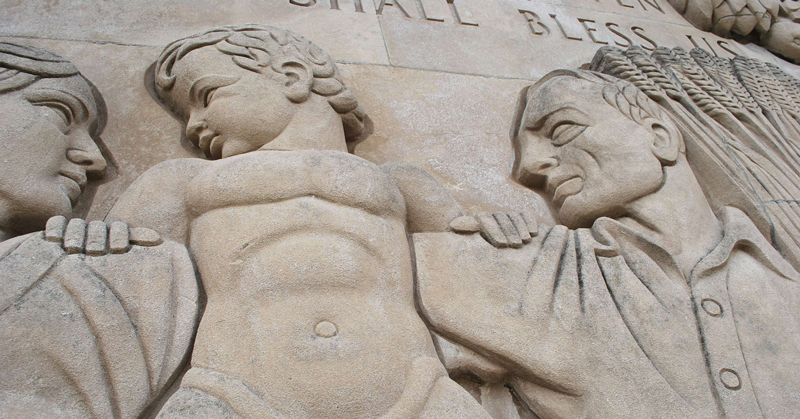 Where several areas of stone cracking were observed, the use of ground penetrating radar was implemented in order to determine the potential cause of the stone unit cracking. 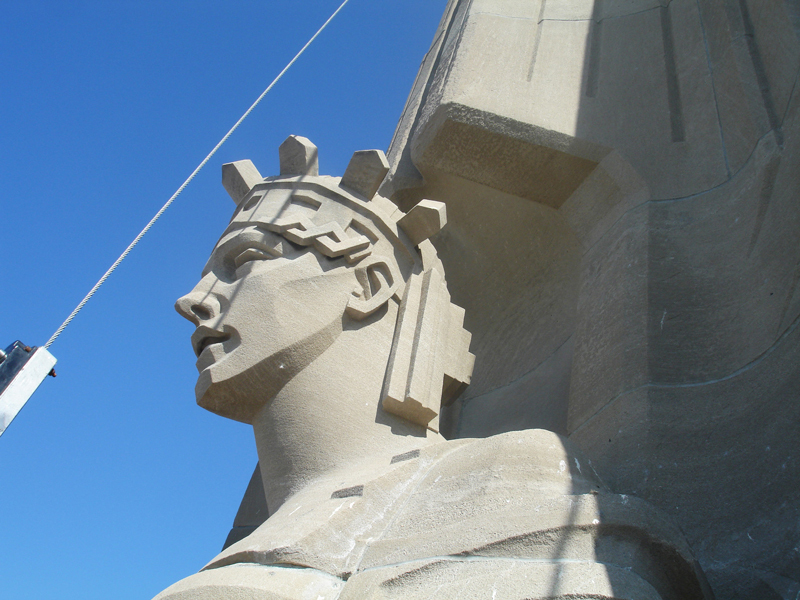 The Stone Condition Assessment Report was created by STRATA and the team of consultants in order to summarize the observation phase of work and generate a prioritized list of Improvement Alternatives with implementation cost opinions for the future stewardship of the monument. 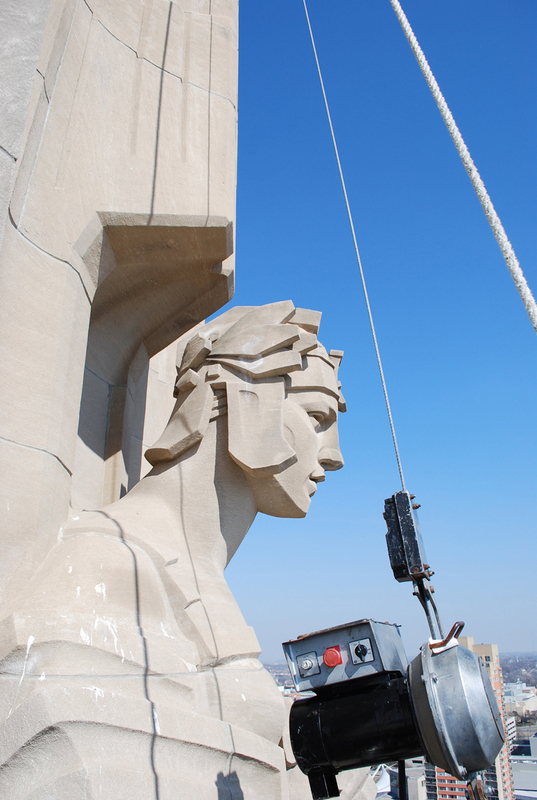 The report was utilized to select the first phases of work for the exterior restoration of the monument and surrounding site which began in 2011 and concluded in 2014.